All patients registered at the Mansion House Surgery have a named doctor who has overall responsibility for your care and support. Your registered GP is also your named accountable and your allocated GP. Your allocated GP will be responsible for the provision of your healthcare. If you choose to see another doctor at the surgery you are entirely free to go on doing so exactly as before. 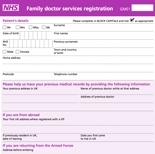 To register, simply call into the surgery bringing with you your NHS medical cards from your previous NHS doctor. If you wish to register for our online services you will be required to bring in Identification, details of which will be provided by our Reception staff, and complete the necessary documentation. 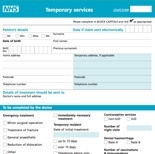 If you do not have your medical card, you will need to complete form GMS1, you can do this when you visit, or download a copy from the forms section on this page.